Voodoo Tactical Liberator Shooters Gloves | BUDK.com - Knives & Swords At The Lowest Prices! 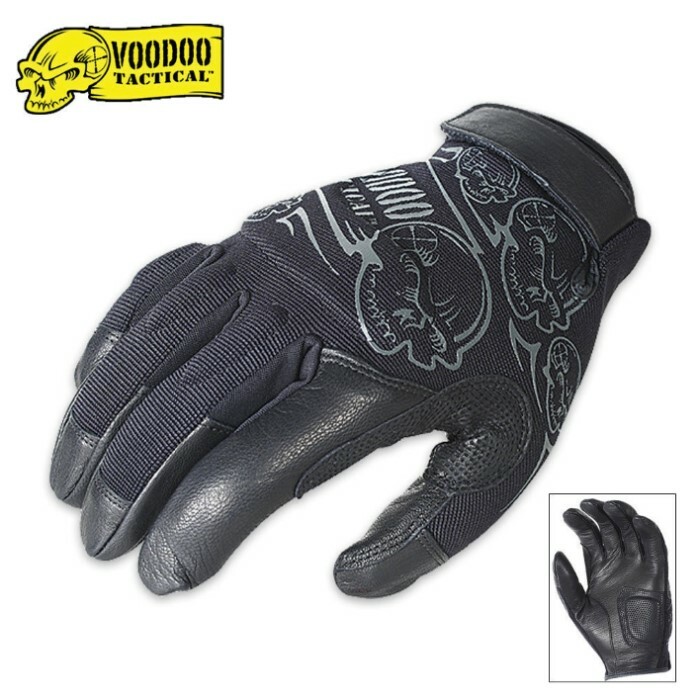 The Voodoo Tactical Liberator glove is a good all-around shooting glove designed to perform well in wet or dry environments. The Liberator gloves are constructed of goatskin leather palm with digital leather palm patch for extra grip and sponge padding for extra shock protection. These advanced materials provide superior grip during wet ops, won't get water logged like leather, and are quick-drying. For your protection, Goatskin leather trigger finger and reinforced thumb. Hook-n-loop wrist closure tab.